Gather Elvis Presley, Jerry Lee Lewis, Carl Perkins, and Johnny Cash for a million dollar lunch! 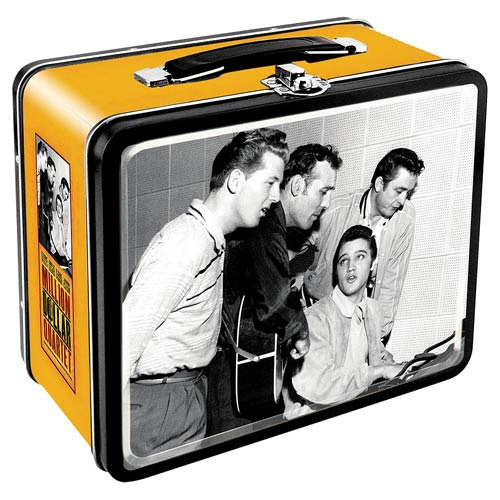 This retro lunch box features the music legends gathered together to jam. The Million Dollar Quartet Large Fun Box Tin Tote measures approximately 7 3/4-inches wide x 6 3/4-inches tall x 4 1/4-inches deep. Ages 14 and up.